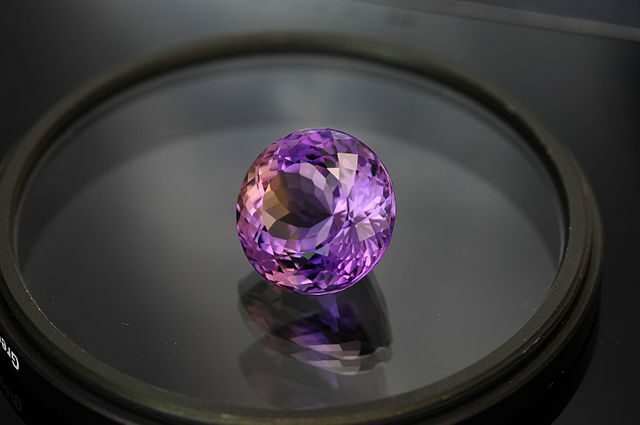 “Natural Ametrine Round Gemstone,” 13.5 cts, Bolivia, by Gemsphoto. Licensed under CC By-SA 4.0. Sitting at a table in your laboratory (or your gem room in your apartment), you examine your newest prized gem. Suddenly, almost silently, it disappears from between the tweezers! Your heart racing, you start searching frantically. You don’t see it on the tabletop, so you start lifting and looking behind every item on the table. Failing to find the gem, the search moves to the floor. In ever widening circles, your hands and eyes search the room. As you reach the most distant pieces of furniture, you start lifting chair cushions and sticking your hands into gaps. Nothing. Frustrated, you bring out the vacuum cleaner and thoroughly clean the floor and furniture. Soon, you’re digging through the dust bag – futilely. Unfortunately, we will all drop gemstones. 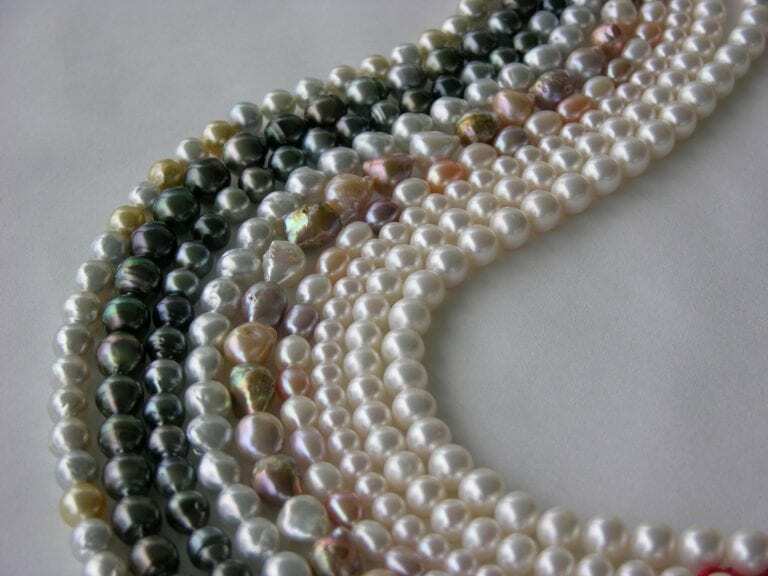 Nevertheless, you can reduce the chances of that occurring by handling gems more securely. The right tools and techniques can help. When you do drop a gem, you can also take steps to increase your chances of finding it. Whether you’re identifying or cutting gems or making jewelry, your workspace should have neutral-colored walls and good illumination. Ideally, the floors should be flat and hard. Your options include wood, tile, or linoleum but NOT carpet. Based on my own experiences, you’ll have about a 20% chance of recovering a stone dropped on long shag carpet. With a short, tight pile, your chances improve to about 50%. On a hard floor, you’ll nearly always find a dropped stone. Tiny gems can easily slip between the fibers of a carpet. Even on the tightest pile, a gemstone can land on its edge. As a result, just a tiny bit of its girdle may stick out above the pile. This may make it visible from only one direction, probably one you can’t turn your head to. Accidentally stepping on the gem will easily press it deeper into the carpet, where it will be lost forever. Hard floors present an entirely different situation. When you get down and reach floor level, the first thing you’ll notice is how dirty it is. However, this view gives you an advantage. 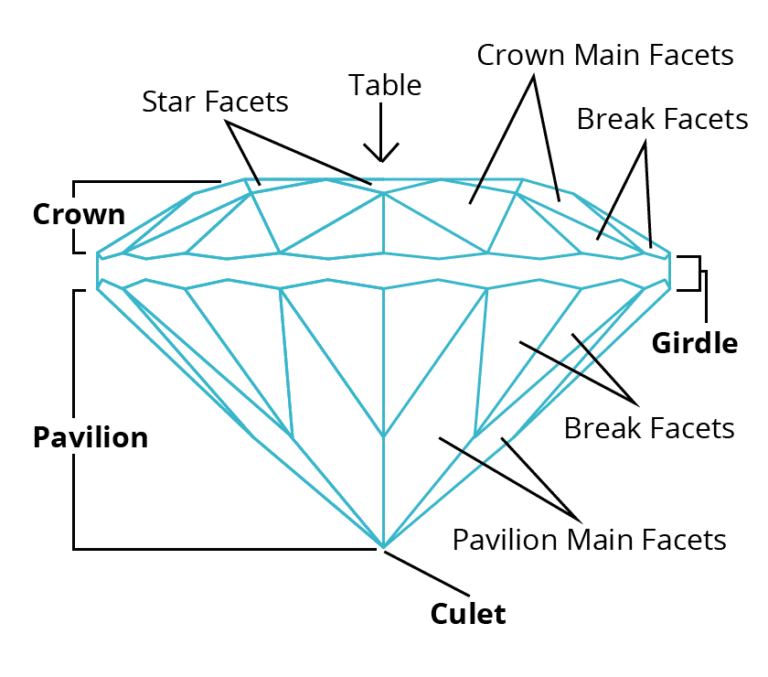 Anything on the floor will be above the surface, including your entire gem. With the help of a flashlight, brilliant reflections will soon give away its location. Of course, remodeling your gem room or creating a gem lab may not be in your immediate future. On the other hand, using the proper tools and techniques can instantly reduce drops. Tweezers are the most common tool for holding gems during exams or jewelry settings. They are also the tools most likely to send a gem flying into the void. The best tweezers for handling gems are locking tweezers. By moving a slide forward, they lock the gem in place quite securely. Once properly set, a change in the pressure you apply to holding the tweezers won’t release the gem. While soldering tweezers may look ideally suited for gem holding, their spring tension is too strong for small gems. You’ll actually lose more gems with these and may even damage some small stones. 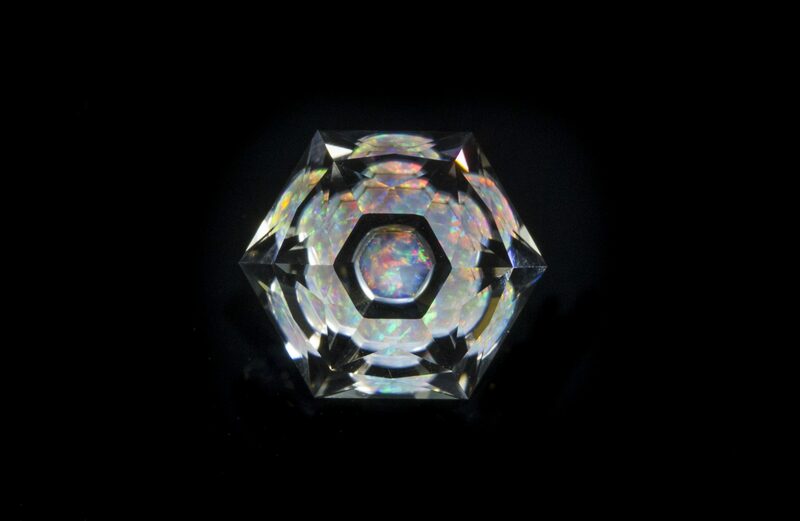 First, turn the gem upside down, so it sits flat on its table. Then, grasp it by the girdle with your locking tweezers. You can pick up larger and oblong stones from other directions. However, rounds will rarely offer a good position for secure gripping unless you turn them upside down. 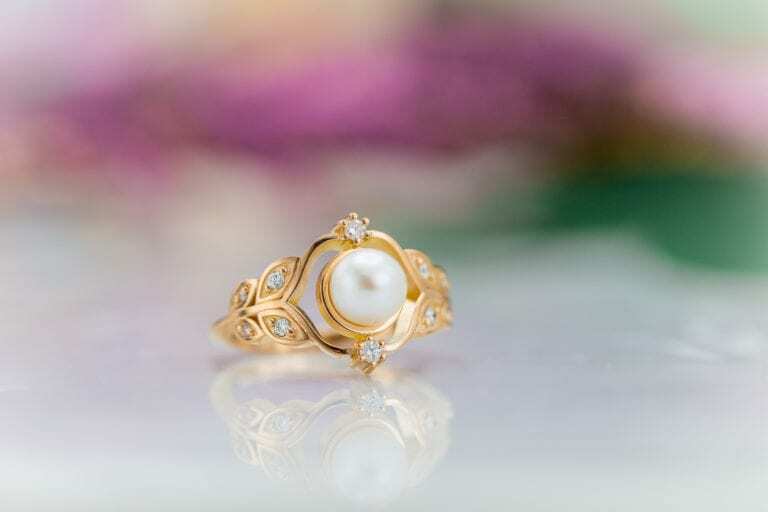 With a stone holder, you can pick a gem from the top or bottom and have all sides open for inspection. Since accidentally opening the holder is difficult, it makes a great tool for handing a gem to another person. First, stop working immediately. Reflect for a moment on any sound you may have heard when the gem dropped. Such a clue can help you choose a direction for your search. However, before you expand your search, examine your desk or tabletop closely. Carefully move items as needed to see under and behind them. Make sure to look inside any open containers. Once satisfied that the stone isn’t on the table, look at your lap, then at the floor. If you don’t see the stone, then gently slide your chair back. Keep in mind that this motion could move the gem. If you have a carpeted floor, it could also bury the gem. So make sure you inspect the tabletop thoroughly before proceeding. As you stand up, watch your lap for falling gems. Inspect the seat of your chair and any folds in your clothing. If this doesn’t produce the gem, then move your chair completely out of the way. Now you’ll inspect the floor with a flashlight. First, shine the light down on the floor. If you don’t find the gem, get down on the floor and hold the flashlight at floor level. This is your most useful technique for finding lost stones. Light will reflect off the gem, letting you see stones that would otherwise remain virtually invisible. In addition, use your hands to inspect places you can’t see, like behind furniture. Expand your search as needed, with the flashlight as your main tool. Also, check the tops of nearby furniture, in case the stone bounced and landed there. If you use the right tools and techniques for handling gems, you can prevent most drops. With the proper search techniques in an appropriate workspace, you can find most dropped gems in a matter of minutes. However, you must also realize that despite your best efforts, some lost gems you’ll never find. Don’t spend an unreasonable amount of time searching. One of our IGS members sent in this great tip. I use this little trick when beading. When I drop very small things on the carpet and can’t see them no matter how hard I’ve looked, this is my last resort. Take a knee-high silk/nylon stocking and insert the toe end into the hose attachment of a strong vacuum cleaner. Secure the stocking at the mouth of the vacuum hose with a rubber band. Then, start cleaning in the area you lost your stone/bead. The nylon stocking will act as a fine filter, letting the dust pass but catching larger objects. After a few swipes, pull out the nylon stocking and inspect your findings. If your stone/bead isn’t in there, take a few more swipes. The darn thing will show up eventually. Sometimes it can travel amazingly far from where you think it fell. I lose beads all the dang time but luckily have found them all so far. 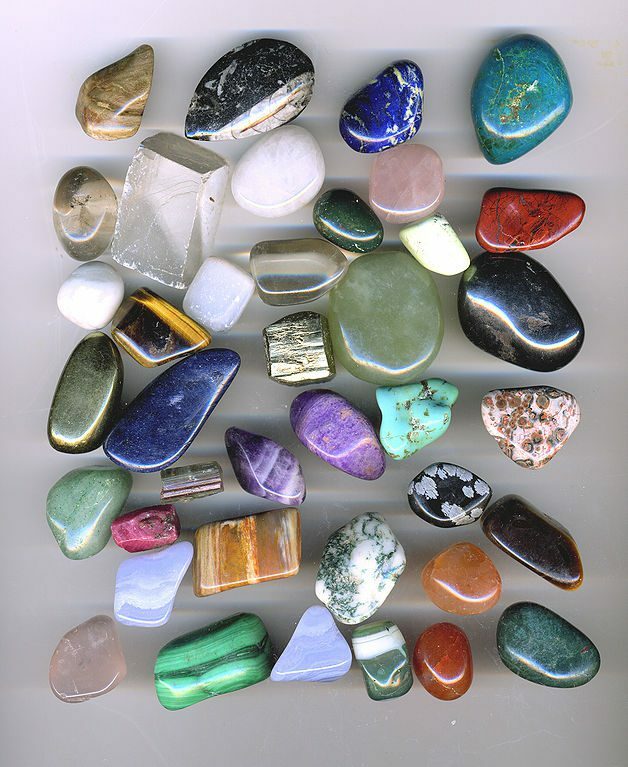 “Tumbled Gemstones” (and four that aren’t tumbled) by arpingstone. Public Domain. 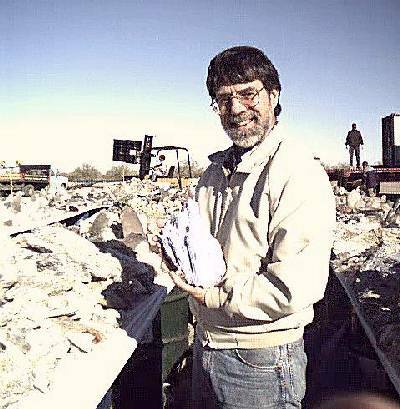 Donald Clark, CSM founded the International Gem Society in 1998. 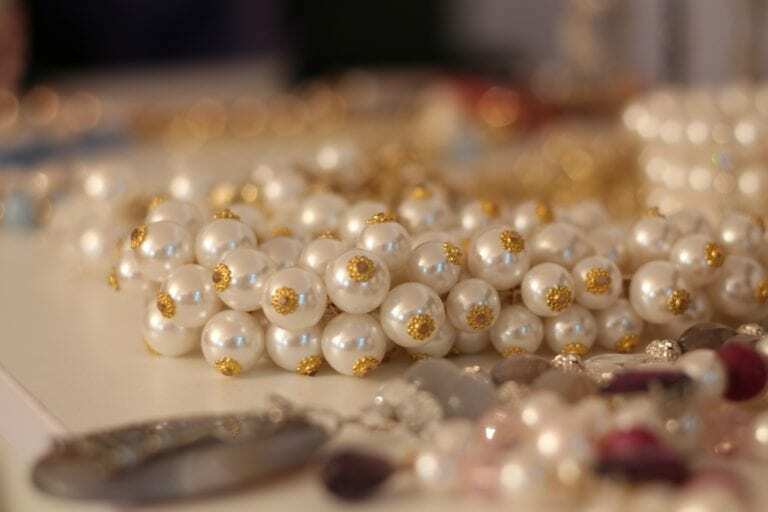 Donald started in the gem and jewelry industry in 1976. He received his formal gemology training from the Gemological Institute of America (GIA) and the American Society of Gemcutters (ASG). 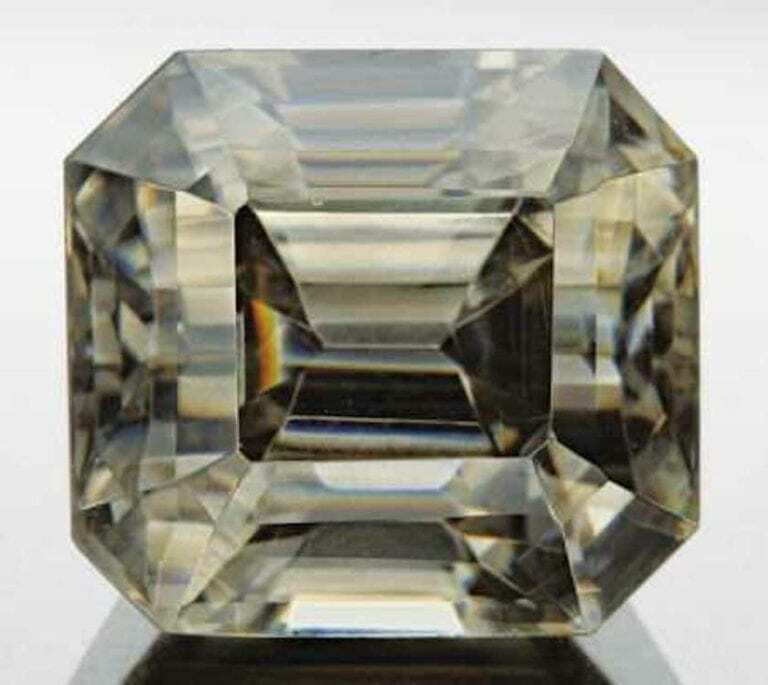 The letters "CSM" after his name stood for Certified Supreme Master Gemcutter, a designation of Wykoff's ASG which has often been referred to as the doctorate of gem cutting. The American Society of Gemcutters only had 54 people reach this level. Along with dozens of articles for leading trade magazines, Donald authored the book "Modern Faceting, the Easy Way."